With enhanced voicemail features, you will never have to check for messages again. Messages and notifications come to you, so you always know when you have voicemail. Enjoy the freedom of accessing messages by email, phone or online. One number to call to get unlimited access to messages. Listen, forward, archive, or delete messages from your phone. 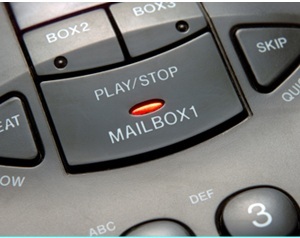 Have your voicemails automatically converted to audio files and forwarded to your online account. Then you have access to messages anywhere you access the Internet. Lets you know you have a message waiting so you don’t have to call in to your voicemail just to check if you have messages. Choose between email, phone, and text message notifications and never check for messages again. Voice messages can be temporarily stored in your online account or can be permanently archived to your computer.